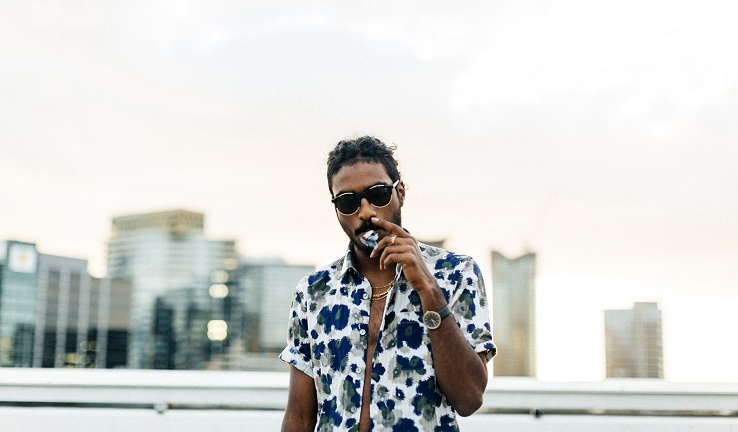 Causing quite the stir in the Australian music scene with his debut single ‘COOLIN’ – Nico Ghost has now released the stunning new video to his lead single. The film clip is the first visual compliment from the enigma that is Nico Ghost, reflecting his mysterious and intriguing aura. The stunning new video for COOLIN’ comes as the follow up to the two singles ‘Coolin’ and ‘Bound2snow’ which are both to be featured on his upcoming debut EP, ‘Kaishi’ which is due for release later this year. The 5 track ‘Kaishi’ EP features 3 new tracks in addition to the lead singles ‘Coolin’ and ‘Bound2Snow’. Each track showcases Nico’s seamless flow paired with the irresistibly smooth electronic production from talented Aussie producers and friends GXNXVS and Seywood. The Melbourne based artist has already been making his mark with his diverse style and take on the local rap scene. Playing impressive gigs like Beyond the Valley Music festival and supporting booming artists Fortunes, It’s no wonder why likes are being drawn against international heavyweights such as Kendrick Lamar, labelling NICO GHOST a “promising up and comer”. Whether you believe in the supernatural or not, stay tuned, this ghosts music will be gracing ears and venues near you `very soon.